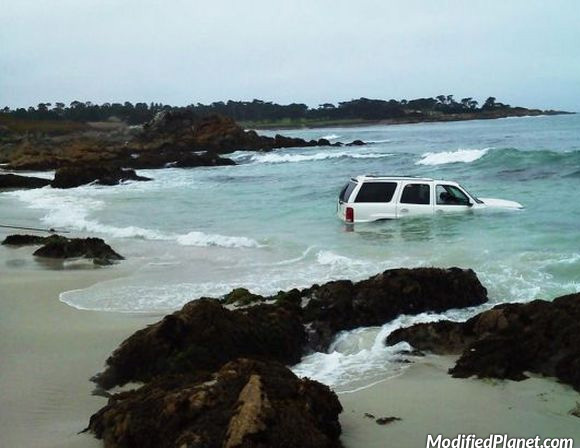 Owner of this 2009 Cadillac Escalade drove his car onto the beach and got stuck. Car fail. 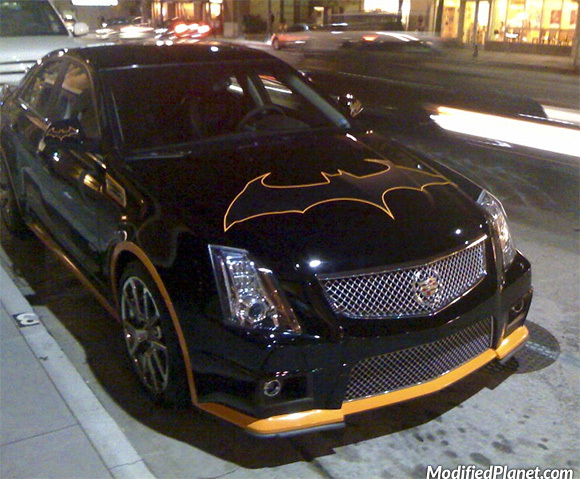 Owner of this 2010 Cadillac CTS-V loves Batman so much he decided to make his own modern day Batmobile. The owner decorated his car with Batman stickers and yellow underbody accents. Car fail. 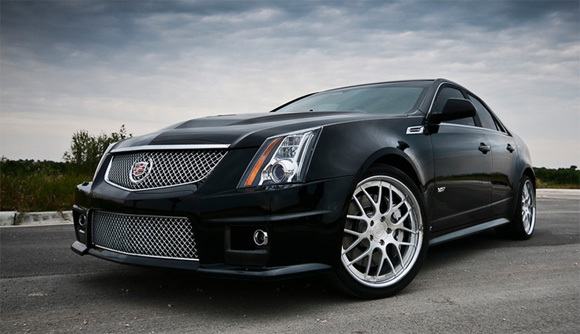 Rolling shot of a modified 2009 Cadillac XLR-V featuring a 6-Piston Brembo Big Brake Kit. 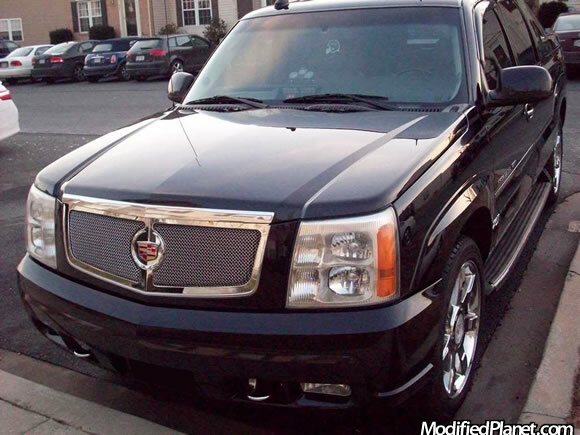 Chrome Strut Grille installed on a Black Raven 2005 Cadillac Escalade EXT. 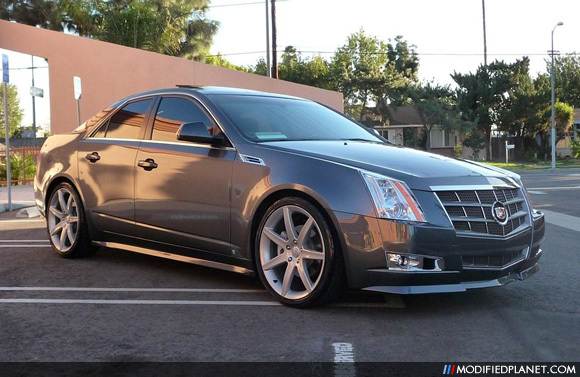 2010 Cadillac CTS Spec V sitting on a set of 19″ 360 Forged Mesh8 wheels. With the holiday season in full swing, we wanted to remind you that its better give than receive. 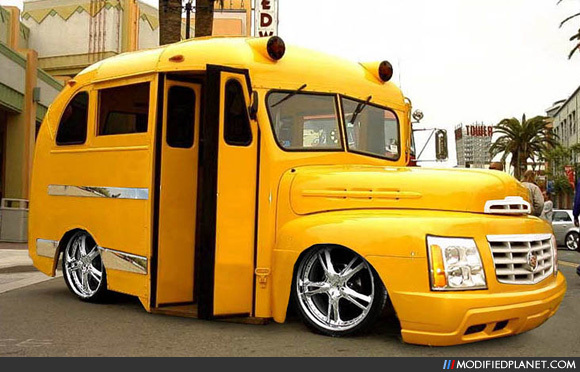 2005 Cadillac Escalade transformed into a school bus. Somewhere in the world, school kids are getting driven to school in luxury. 2009 Cadillac CTS enhanced with an E&G Classics Body Kit, an E&G Classics rear trunk lid spoiler and E&G Classics exhaust tips. This 2009 Cadillac CTS is also rolling on a set of 20″ Vogue CV-7 wheels wrapped in 245/35/20 Yokohama S-Drive tires and lowered on Eibach Pro-Kit lowering springs. Super classy!